Summer festivals and winter recreation make Ellicottville a popular destination in Western NY. Campus was selected early in the initial planning stages to assist with architect selection and the building condition survey (BCS) process, followed by pre-referendum planning that included public information campaign coordination and development. 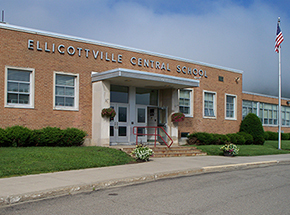 The $9.8 million project was part of a strategic planning initiative adopted by the Board of Education in 2009. Voters approved the capital project referendum in March 2013. In January 2014, voters also approved $925,000 to add 50,000 square feet of roofing replacements. The main project broke ground in Fall 2018. Its most noteworthy improvement was a new mixed-use "gymnatorium." 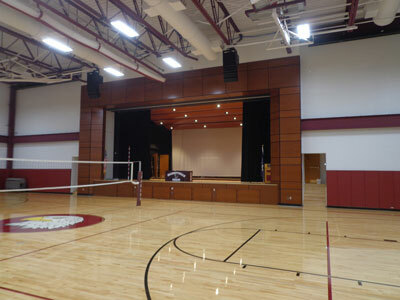 The existing gymnasium was expanded so that it could also function as an auditorium, complete with stage, upgraded seating, lighting and sound. With this new multi-purpose space, the District can better accommodate athletic events, concerts, assemblies, award banquets, testing, community programs and other special performances. Renovations also included locker rooms, band and chorus rooms, and a remodeled weight/fitness room. Drainage around the elementary wing, air exchange and circulation in the lower level of the elementary building, and a new south entrance were also addressed. Ten classrooms in the original 1960 section of the school received new ceilings, lighting and painting. 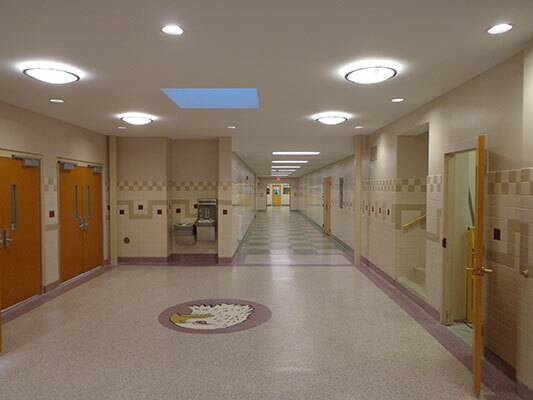 All hallways received new wall tile, lighting and ceiling finishes.